In eighteenth- and nineteenth-century Britain, books of travel and exploration were much more than simply the printed experiences of intrepid authors. They were works of both artistry and industry—products of the complex, and often contested, relationships between authors and editors, publishers and printers. These books captivated the reading public and played a vital role in creating new geographical truths. In an age of global wonder and of expanding empires, there was no publisher more renowned for its travel books than the House of John Murray. Drawing on detailed examination of the John Murray Archive of manuscripts, images, and the firm’s correspondence with its many authors—a list that included such illustrious explorers and scientists as Charles Darwin and Charles Lyell, and literary giants like Jane Austen, Lord Byron, and Sir Walter Scott—Travels into Print considers how journeys of exploration became published accounts and how travelers sought to demonstrate the faithfulness of their written testimony and to secure their personal credibility. This fascinating study in historical geography and book history takes modern readers on a journey into the nature of exploration, the production of authority in published travel narratives, and the creation of geographical authorship—a journey bound together by the unifying force of a world-leading publisher. "As this remarkable new volume shows, the pains of authorship are only part of the labor that goes into making books. Seeing a work into print in the late eighteenth and nineteenth centuries involved coordination between pressmen, typesetters, binders, illustrators, accountants, distributors, papermakers, and a wide range of other occupations. Travels into Print focuses on what is probably the most signiﬁcant and intimate of these relationships, that between publisher and author. In doing so, it makes a major contribution to book history and one that is bound to interest historians of science." 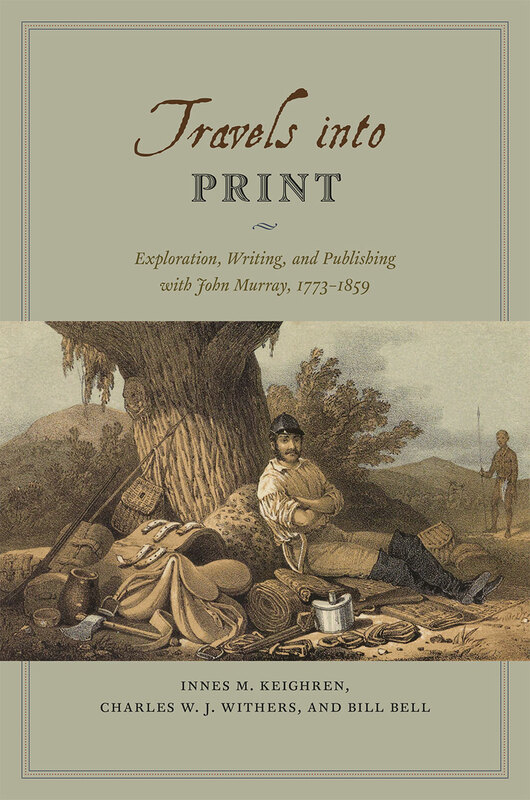 "Travels into Print works out from a single institution, Murray’s publishing house, to interweave historical geography and literary and print history to think about the ways in which global exploration yielded books and how those books were shaped by explorers, writers, publishers, and audiences." "Travels into Print is a fascinating incursion into the Murray archive. With the sustained focus on travel and exploration texts, this book is particularly useful in 'disclosing' the complex ways in which explorer and traveller figures, themselves discursive constructions, acquired publishing identities as authoritative authors and readers whose texts operated as cultural artefacts, corporately fashioned by publishing houses." "This book is an outstanding piece of research, successfully conveying the hard work put into the process of publishing with Murray in the eighteenth and nineteenth centuries. The authors’ eyes for the details are exceptional! They were able to couple their explanation of the publication process with interesting stories of different explorers, deftly showcasing their thoughts and troubles at the same time. Each narrative is so well embedded in the book that complicated theoretical concepts can be easily understood, and they help explain life and living conditions in the eighteenth and nineteenth centuries. The book is highly recommended for history, geography, and tourism students as well as scholars of exploration and literary writing." Peter Hulme, University of Essex, UK | author of "Cuba’s Wild East: A Literary Geography of Oriente"
Dane Kennedy, George Washington University | author of "The Last Blank Spaces: Exploring Africa and Australia"